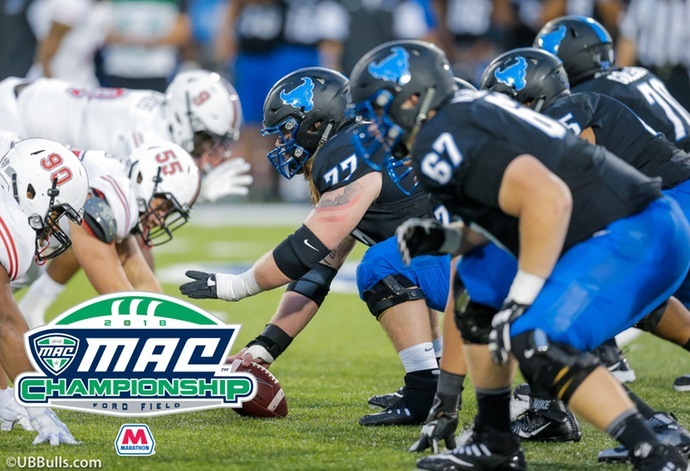 BUFFALO, N.Y. -- The University at Buffalo football team will play Northern Illinois in Friday's Marathon Mid-American Conference Championship game. Fans interested in attending the game should click here for ticket information. There will also be a number of watch parties in Western New York as well as other regions of the country. The game kicks off at 7:00 pm on Friday and will air on ESPN2. Fans can also listen on ESPN 1520 in Buffalo, 1280 AM in Rochester and the Tune In app. 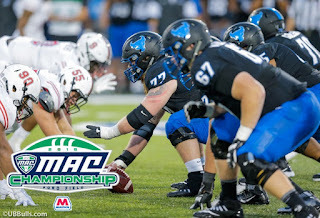 Check back to www.ubbulls.com for updates and further information.